Earlier this week, the U.S. Army Corps of Engineers granted the easement needed for Energy Transfer Partners subsidiary Dakota Access to continue construction on the highly contested $3.8 billion Dakota Access Pipeline, and the company began work late Wednesday to begin the process of crossing the Missouri River. But one Native American tribe is not giving up the fight, and on Thursday it filed a legal challenge to try to block completion of the pipeline. The Associated Press reports that the Cheyenne River Sioux tribe filed a legal challenge in federal court in Washington, D.C., on Thursday. 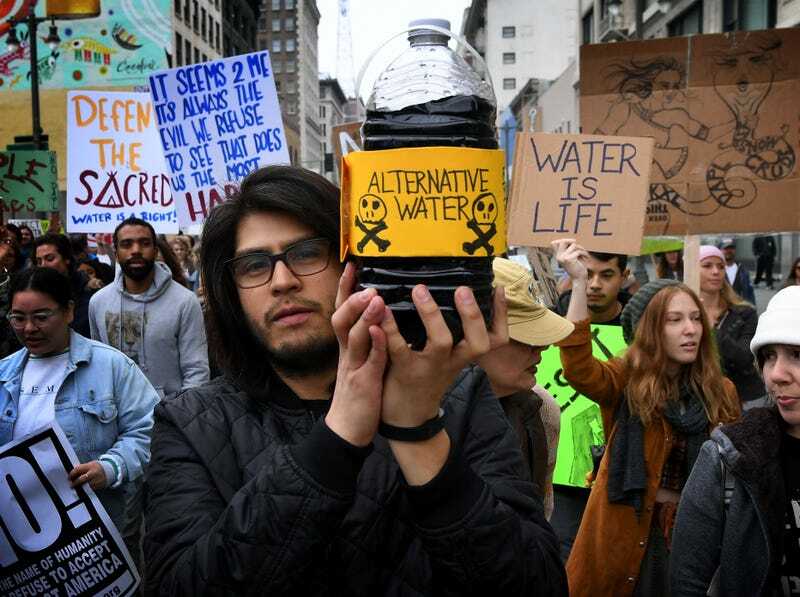 The tribe is concerned that a pipeline leak could contaminate the drinking water its people depend on, despite the Dallas-based pipeline developer saying that it will be safe. U.S. District Judge James Boasberg will hear arguments from attorneys Monday during an already scheduled hearing in the legal battle over the pipeline. Energy Transfer Partners’ Vicki Granado told NPR that the company expects to finish work on the Lake Oahe portion of the pipeline within two months, and the pipeline itself could be in service in three months. Once completed, the 1,172-mile, 30-inch diameter pipe will carry crude oil from North Dakota to Patoka, Ill.
Read more at NPR and the Associated Press.